Although there are a few more races before this season comes to an end most triathletes are already making plans for 2016. Coaching enquiries stretch back through the summer and other than the odd last minute opening I’m already fully booked for next season. So it feels like the right time to announce details for my 2016 training camps. The 2016 Lanzarote Triathlon Training Camps will be held at Sands Beach Resort in Lanzarote. 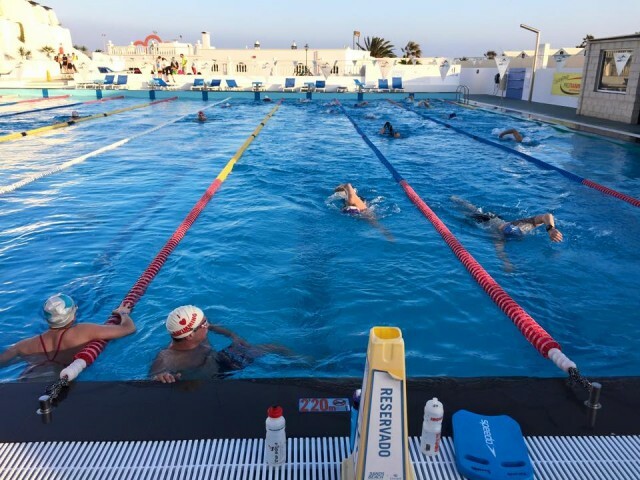 Training camps will run over two consecutive weeks: Saturday, 27th February to Saturday, 5th March 2016 and Saturday, 5th March to Saturday, 12th March 2016. Both weeks will offer lots of opportunity to swim, bike and run under my guidance. 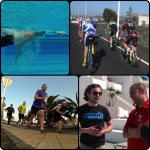 Full details are available on the Lanzarote Triathlon Training Camp page. If it’s not broke, don’t fix it, but based on athlete feedback I’m making a couple of small changes to the successful format. Firstly, I’m reducing the planned bike volume so more time can be spent swimming and running over the week. We will still ride the full Ironman course – it’s a fun day – and for those who want or need it there’ll be time to ride more. However, the camp’s overall focus will be spread a little more evenly this time round. Secondly, I’m reducing the size of the camp to 10 athletes per week. This will give me more time to work with individuals on the camp. 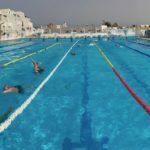 It’ll allow for additional one-to-one sessions with more focus on technical aspects of training. As well as swim video analysis I’ll also be able to offer athletes run video analysis too. Everything else will remain the same. There’ll still be plenty of opportunity to swim, bike and run, I’m not going easy. Now there’ll be more of my involvement in those sessions. Interested in the camps? The easiest way to find out more about them is to read through my posts from previous years. You can also read a past training camp schedule for an idea of the kind of sessions I’ll have planned. Or drop me an email if you need any more information or want to reserve a place on camp.